Well now. There isn’t much I don’t love about this simultaneously frightening and compelling, and all-together intriguingly atmospheric video for “The Holy Ghost” from Destruction Unit. I mean, you’ve got your deep and apparent influences from the likes heavy aural gloom masters Killing Joke and Bauhaus (check and check) and the drummer — who, by the way, is a total badass on the kit — gets serious bonus points for wearing a Brian Jonestown Massacre T-Shirt. I love this band! 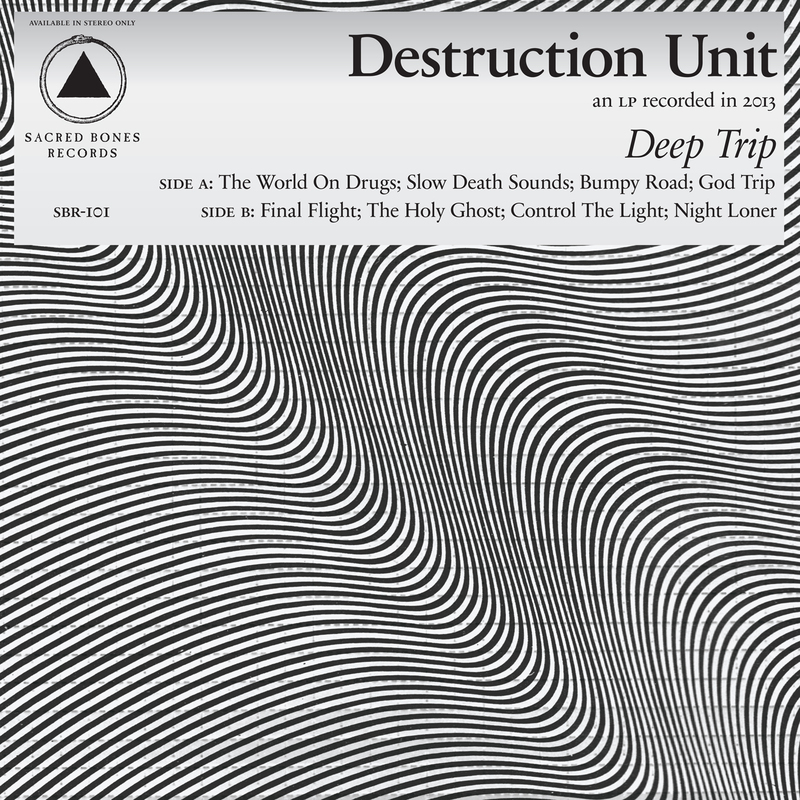 “Holy Ghost” is the brand new single from Destruction Unit’s latest CD, Deep Trip, on Sacred Bones Records. The band is currently on tour in Europe. Enjoy!